This Another Round MatMates is a gorgeous kitchen mat that can be used as a stand-alone Welcome Mat or as an insert in one of our innovative and unique MatMates Cushion Comfort Indoor Trays perfect for your decorative or anywhere where you stand for Extended periods of time, or MatMates Outdoor Doormat Trays to greet your guests at the door. This Another Round MatMates Kitchen mat or welcome mat is created by using a dye-sublimation process that permanently dyes the non-woven polyester top surface. The MatMates Beer doormat insert is suited for outdoor or indoor use by themselves or when paired with the Cushion Comfort Tray which converts the insert into a good non-slip ergonomic anti-fatigue decorative kitchen mat. In addition you can decorate your doorstep with a touch of class with the Outdoor Insert Tray and the Another Round MatMates insert. - Recycled rubber back makes the mat slip resistant and usable in almost any weather condition. Care for the Another Round MatMates welcome mat is easy, hose off the mat when it becomes soiled and if needed scrub lightly with a soft bristle brush with mild soap. This Beer doormat is 18" x 30" when used as a stand-alone mat. The MatMates Kitchen mat is a great way to decorate your kitchen. MatMates are a registered trademark of Magnet Works, Ltd and is manufactured right here in the USA. 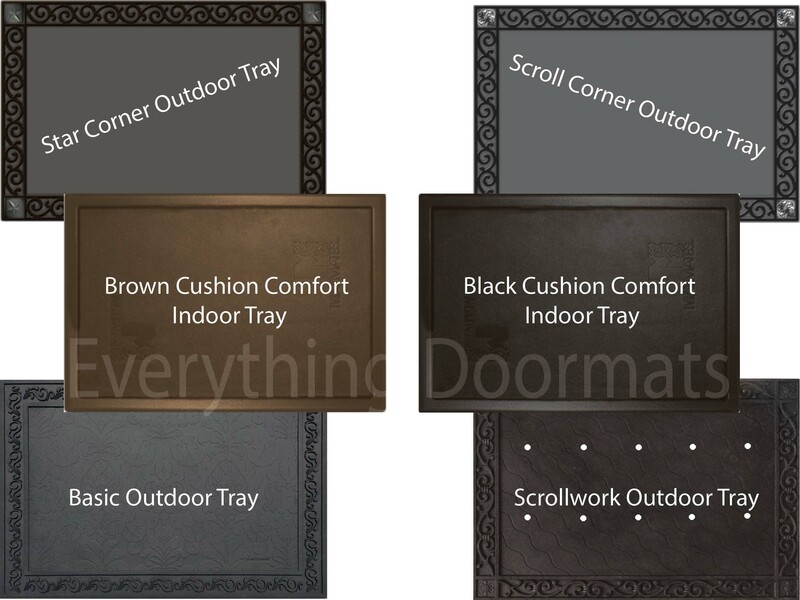 Note: The Another Round Doormat is pictured in our Brown Cushion Comfort Tray. The outdoor trays and Cushion Comfort Trays are sold separately.